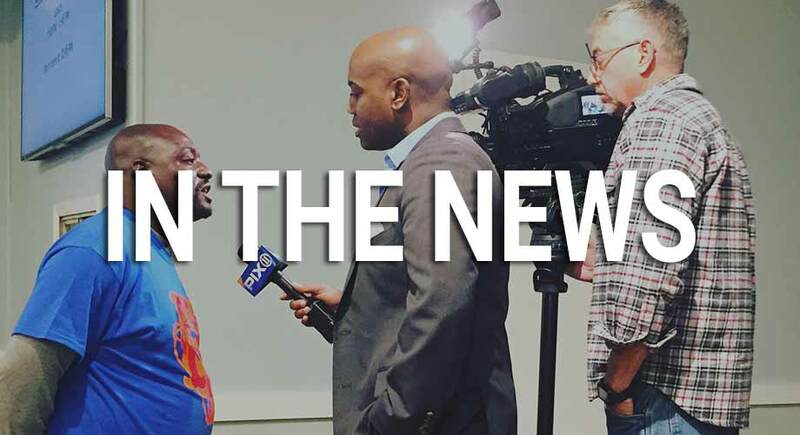 For members of the press who are looking for more information regarding the work we do with the homeless and poor in northern New Jersey, you can find some of our most recent press releases below. For all media requests, please email James Winans at media@grmnewark.org, or call (646) 362-3110. NEW YORK – On Saturday, September 23 from 10:00–11:00am, at 79 University Avenue in Newark, NJ, Goodwill Rescue Mission will celebrate the opening of its brand new women’s shelter to meet the critical needs of homeless and vulnerable women in Northern New Jersey. Before the dangerous winter months, the new shelter will offer a dignified, caring and safe place for up to 14 women to stay as they assess their options for long-term care. Goodwill Rescue Mission will meet guests’ immediate needs at no cost, while connecting women with resources that will help them take the next step towards independent living. 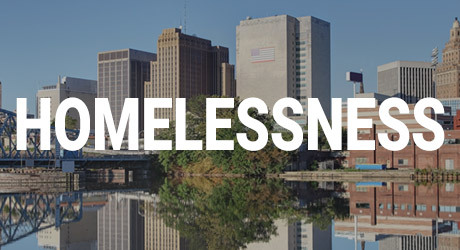 Every night, more than 2,000 individuals in Essex County are homeless for reasons ranging from systemic poverty to trauma, addiction and abuse. 24% of these women, children and men reside in Essex County, making it the number one county in New Jersey suffering from homelessness. The Goodwill Rescue Mission’s women’s and men’s shelters are currently the only shelters in Newark open to individuals who do not have identification or who are ineligible for government reimbursement for their stay. About Goodwill Rescue Mission Founded in 1896, Goodwill Rescue has served those experiencing homelessness, hunger and poverty in Newark and Northern, New Jersey. Men, women and children find food and shelter and are restored to a life of dignity and hope. 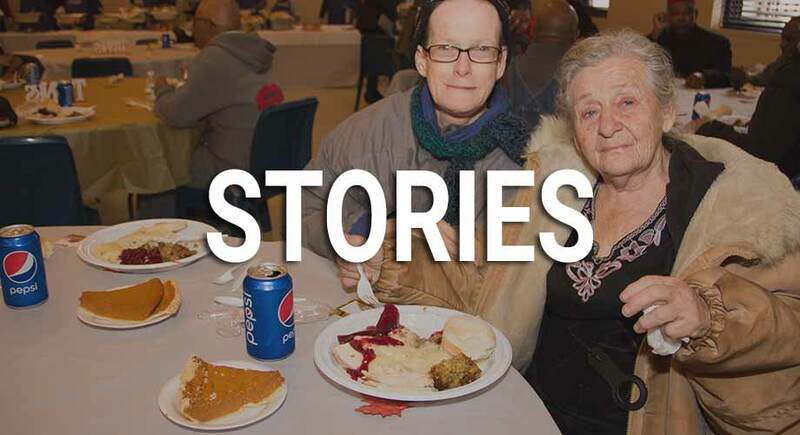 Last year, Goodwill Rescue Mission served more than 88,900 hot meals to hungry men, women and children, provided 22,200 nights of shelter to individuals in crisis, and through the Goodwill Rescue Mission thrift store, provided 3,900 pieces of affordable clothing to hundreds of Newark residents. United since 2016 with The Bowery Mission, Goodwill Rescue Mission’s continuum of care extends through the residential recovery programs for men and women at The Bowery Mission. Last year, The Bowery Mission provided more than 505,000 meals to men, women and children, 97,300 nights of shelter and 56,200 articles of clothing, as well as showers, haircuts, and expert medical and optometric care. NEW YORK – As Goodwill Rescue Mission celebrates 120 years of service to the homeless in Newark, New Jersey, the organization has joined forces with The Bowery Mission, headquartered in New York City. Together, these two organizations will more effectively serve homeless and marginalized men, women and children throughout Metro New York. Goodwill Rescue Mission celebrates this new partnership and its 120th anniversary on Saturday, October 22, 2016, 10:00am-12:30pm (formal program 11:30am) at 79 University Avenue. David P. Jones, President and CEO of The Bowery Mission, now leads the combined $20 million operation, including more than 150 staff members and 8,000 volunteers serving nearly 500,000 meals annually and providing shelter, showers, clothing, medical care, crisis referrals, and faith-based residential life transformation programs, as well as summer camp and year-round opportunities for children. Now a program of The Bowery Mission, Goodwill Rescue Mission will continue to operate as a separate 501(c)(3) nonprofit organization, distinctly branded and wholly supported by donations from its own donor base. Donations to The Bowery Mission will not be used to fund the operations of Goodwill Rescue Mission, nor will donations to Goodwill Rescue Mission fund the operations of The Bowery Mission. Founded in 1896, Goodwill Rescue Mission’s priority is to minister to the suffering and needy in Newark who endure the hopeless cycle of poverty, homelessness and dependencies by providing food, clothing, shelter, and spiritually rich and vocationally focused programs of sustainable comprehensive life transformation. The Bowery Mission has served homeless and hungry New Yorkers since 1879. Last year, The Bowery Mission provided more than 406,000 meals to men, women and children, 91,000 nights of shelter and 44,000 articles of clothing, as well as showers, haircuts, and expert medical and optometric care. Each meal and every night of shelter is an invitation to residential recovery programs, where men and women get a second chance and lives are transformed from hopelessness to hope. Last year, the Mission’s residential programs served nearly 300 men and women who are regaining sobriety, reconnecting with family and faith, pursuing educational goals, and preparing for work and independent living. To ensure that at-risk children have a positive first chance at life, The Bowery Mission’s city camp and summer camp serves nearly 1,200 at-risk children from poor city neighborhoods.